Chetwynd-Talbot and Clément-Bayard started Climent-Talbot a company that manufactured cars in 1903 in France. Then the marque was renamed Sunbeam-Talbot Limited in 1938. Shortly after Darracq boughted the brand and Rootes Group brought the marque in the UK. 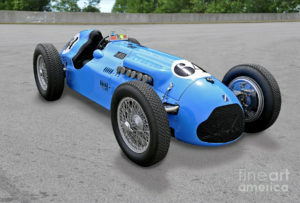 In the mid 1930s Rootes bought the London Talbot factory and Antonio Lago bought the Paris Talbot factory.Then Lago made sport cars and participated at Gran Prix races. The brand was renamed as STD (Sunbeam-Talbot-Darraq) but then at 1935 had a bankruptcy and Lago bought the marque and it renamed like Talbot-Lago. But Rootes stopped using Talbot names at mid 1950’s and the factory in Paris closed few years later. Finally the brand came by a lot of takeovers to Peugeot S.A which revived the use of the Talbot marque from 1978 until 1994, then the brand was finally discontinued. 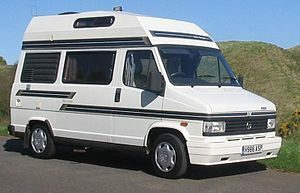 The Talbot Express van (along with its identical sister vehicle the Fiat Ducato) was a popular base vehicle for motorhomes and campervan conversions, and as a result they are still a relatively common sight on British roads, with many hundreds of examples still in service – compared to an extremely low survival rate of any of the other Chrysler-Peugeot era Talbot passenger car models. According to the website How Many Left? as of June 2016, there were fewer than 40 Alpine/Solara models, 20 Horizons, 10 Sambas and only one Tagora still registered with the British Driver and Vehicle Licensing Agency (DVLA), compared to well over 5000 Talbot Express vans. 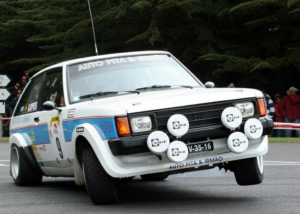 Talbot started participating in motorsports at 1979 when the brand opened the factory for the World Rally Championship. The first time they raced, (1979) Talbot drove the Talbot Sunbeam Lotus to an impressive 4rth place. At 1980 season Guy Frequelin brought Talbot to the team’s first podium by finishing at 3rth place. Two years later Talbot withdrew of the WRC although the brand continued racing until 1986.